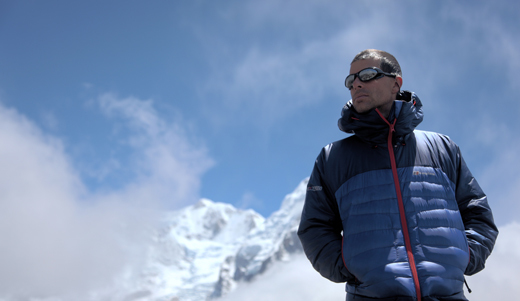 I just got a phone call from Philippe at camp 4, 7700m. Philippe, Ludovic, Cédric (Swiss) and 3 sherpas successfully made a camp 4-summit-camp 4 round trip this night/morning in just below 14 hours. Kangchenjunga, 8586m, is bagged! 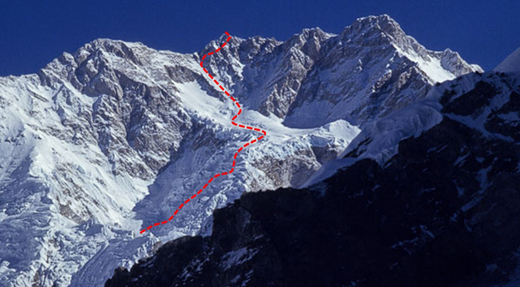 Since the first ascent in 1955, 243 climbers has reached the summit, only 3 French; Michel Parmentier and Jean-Jacques Ricouard in 1981, and Pierre Beghin in 1983. Ludovic Challeat and Philippe Gatta becomes 4th and 5th French! Alexia and Ben turned around at 8200m and is now walking down towards camp 3 or even camp 2. The are both fine but I think they felt too tired to go on. Gorgan didn’t feel good enough to start the summit push and went down and might even be in base camp already. Conclusion – everyone are ok, that is what counts. Christian Strangl and a russian guy also made the summit. Philippe will stay in camp 4 today to recover from the tough night and tomorrow everyone will be back in base camp. Route on South West face. « Kangchenjunga summit push is on!